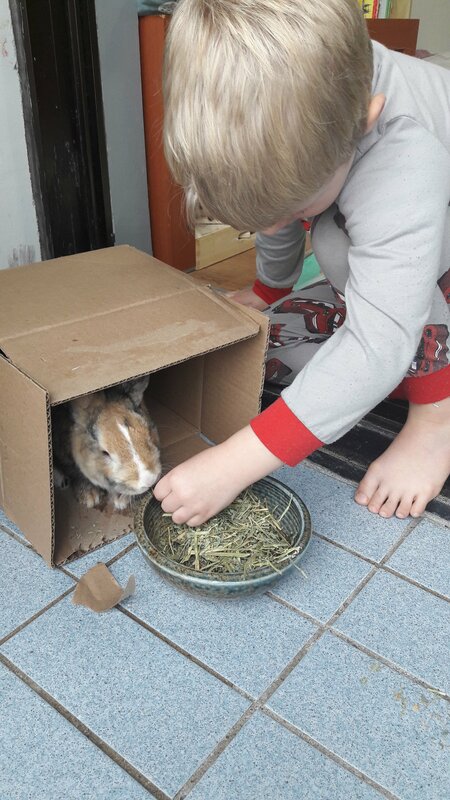 Although I would love to have a pet (think helping to grow responsibility and caring in the kids) we currently live in a small apartment and are likely to leave the country within the next year or two. It’s not exactly conducive. However, with a friend going away on holiday, we get to rabbit sit for three weeks! Zeph was pretty keen to make friends, and Tequila’s appearance after his nap evoked squeals of delight and a few charges up and down the room from Elly. Hopefully our downstairs neighbours were out at work during the charging.